Your current Habits Are The Cause Of Prolonged Yeast Infections - YeastInfection.Org by Eric Bakker N.D.
June 16, 2013 by Eric Bakker N.D.
What I have discovered over the years working with 1000s of candida yeast infection patients is that, there is always an underlying cause. Generally, there are two distinct types of causes – the primary cause (what actually started or helped to start the yeast infection), and the maintaining causes (what keeps it going on, and on, and on). Have You Identified Your Primary Cause? Do you know what your primary (exciting) cause or causes were in the past? Are you able to recall what potentially caused it? Was it that course of antibiotics you had after you had a cough, cold, or an infection? Perhaps like many people, you have had several courses of antibiotics and have never been well since. If you are likely to tell me this in my exam room, I will write “NBWS” behind such an event and mark it out as a primary cause. Could it have been when you came out of hospital, or perhaps at the time you returned from that vacation? Think of an event (any) that took place just before it started. Think of a drug or treatment that coincided with the onset of Candida. It is actually irrational to assume that your current candida infection emerged out of no place and simply “happened.” There IS always a cause for your yeast overgrowth, and with a bit of detective work you should be able to figure out how long ago this whole mess started. Primary causes are more dramatic and there is almost always a strong relationship between cause and effect. Most patients can remember the one primary cause (or the several primary causes). As people get older and they have had their yeast infection for many years, the memory may not be that good anymore and it may be harder to track the primary cause. What are You Doing to Prolong Your Infection? These are your maintaining causes and they’re generally a lot easier to discover. They will be happening right now and a bit of detective work will quickly uncover them. There will often be several maintaining causes or one big one, like eating chocolate several times a week or drinking alcohol daily. What are you doing to keep your yeast infection going? Is it something specific in your diet? Is it something to do with your lifestyle? Is it both? Do you eat commercial chicken every week that may contain antibiotics? Maybe you are suffering from stress or adrenal fatigue. Perhaps you take steroids or hormonal birth control. Maybe you love sugary soft drinks. 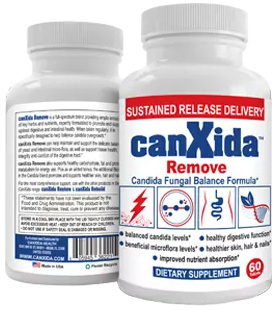 No matter what, we’re going to identify your maintaining causes and eradicate them throughout the Candida Crusher program. I’m going to help you to change your lifelong habits for the better so that you can live a happy, Candida-free life. Hello Eric. I have a chronic yeast infection after taking a course of antibiotics for acne. That was six years ago. I had a hiatus hernia when I was 19. I am now 25. 3 weeks ago during severe die off I had severe heart palpitations for which i received three pills to lower my heart rate. That was 2 and a half weeks ago. since then I have a throat thrush which is making it hard to swallow. I also have canker sores. what would you suggest to remedy this problem?